When was the last time you changed your rear hubs? - Page 7 - Miata Turbo Forum - Boost cars, acquire cats. You can also use the f-body ARP studs in place of the 90-93s. Somehow it's significantly cheaper for 5 f-body studs than it is for 4 Miata ones. Interesting from Summit 5 of the F-body studs are $13.82 and 4 Miata studs are $26.67. .509 knurl versus .507 probably close enough. 2.5" long instead of 2.75". why are they so much cheaper I wonder. Different number of "splines" on the knurl so you have to persuade the F-body ones a bit more than the Miata specific ones during install. Mazda's front hubs are reboxed NTNs, available for ~$100 in a few places. You can occasionally find Timkens for ~$65, and those are reboxed NTNs as well, but the Timkens may or may not have the ABS ring in the correct place and availability is spotty. I have yet to experiment with anything cheaper than the $65 Timkens. FYI, Ive had better luck finding the ABS version of the hubs (they are the same hub, obviously). Since I have a non ABS car, I just cold chisel the ring off. Soup. I am having the hubs sanded down very slighly (2/100th) so you can actually slip them in and out of the bearings by hand, without destroying the bearings. I had that done a while ago so I'm not replacing bearings this time. I dont think thats going to work out the way you think it will, but Id be interested in hearing your experience after the fact. The current hubs were done the same way and I could tap them out with a woorden stick. So for me, it works. I can replace hubs without replacing the bearing. That means being able to replacing drive shafts in the pit lane. I lied. I got a China Dorman hub. D'oh. nicely with a wooden stick and a tap from a hammer. Bearings need no replacing this time. I just received my Rockauto order and got one of the Taiwan and one of the China rear hubs. After reading the posts here I decided to check the measurements around the entire hub. They are virtually the same except for the noted stud design difference between the 90-93 hub and the 94+ hub and the inside spline depth. 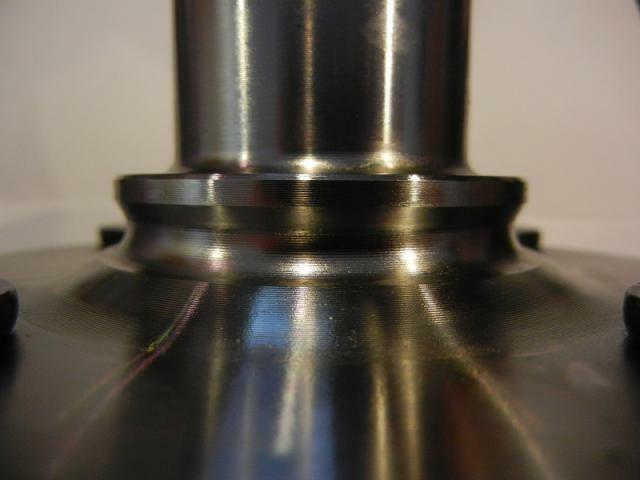 The 94+ hub splines are cut deeper into the center of the hub vs the 90-93. Given the spline difference on the 94+ hub, that's the one I'm going to use. I contacted Rockauto and emailed them with pics and requested an RMA # and a shipping tag. Hopefully they will have the 94+ one in stock. Let us know if they are able to get you a specific one. I am returning my Made in China Dorman to Amazon and need to figure out how to get a Made in Taiwan unit to match my other one. For those of you with more expertise and/or any idea what to look for, is there a reason NOT to just run one of the China and one of the Taiwan hubs if you are swapping out the wheel studs? Please disregard my last post. I was apparently having a mental block with regards to the differences in the two hubs. Since I have 94+ ARP rear studs sitting in a box, I want to keep the Made in China hub and send back the Made in Taiwan hub. When I look on eBay, all of the pictured hubs appear to be the Made in China version (no additional holes, black studs). Amazon's picture was the Made in Taiwan version (additional holes, silver studs). That leads me to believe that the China version may be a more recent one? I pulled them through using a lug nut. Didn't seem like any excessive force was needed. .002" is seriously nothing. 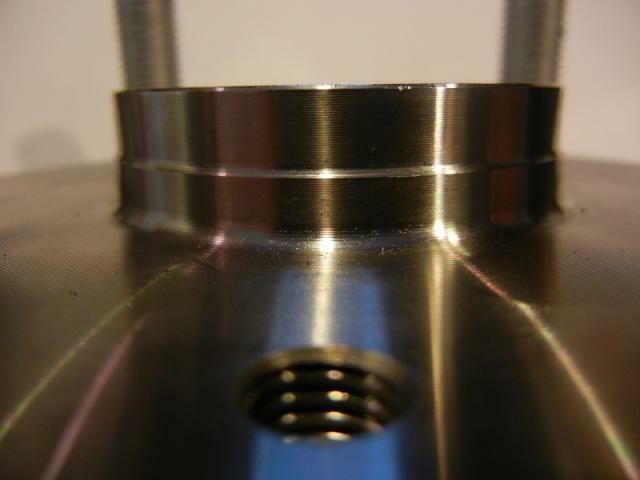 Manufacturing tolerances on a knurled surface are more than. So the F body studs are shorter or longer? I think a 1/4" shorter. I pulled them through using a lug nut. Huge no-no, dude. You likely twisted the splines as you pulled/twisted the stud into the hole. 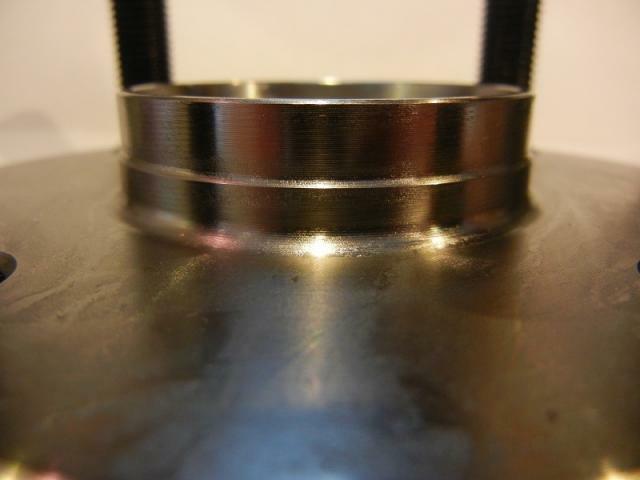 The splines are what retains the stud in the hub, so you run the risk of the stud spinning and losing the lugnut. Never, ever pull studs into the hubs with lug-nuts. Press them in using a hydraulic press. The HF C clamp press also works for the cheapasses. That works too. Anything that presses straight in, vs. applying a twisting force, is fine. I guess it's possible, but I've pulled them in with a lugnut and then taken them out again -- splines were all fine. If you lube up the threads with penetrating oil then it goes in with a lot less force required than is used to torque the lug nuts (like 40 ft-lbs). You likely twisted the splines as you pulled/twisted the stud into the hole. 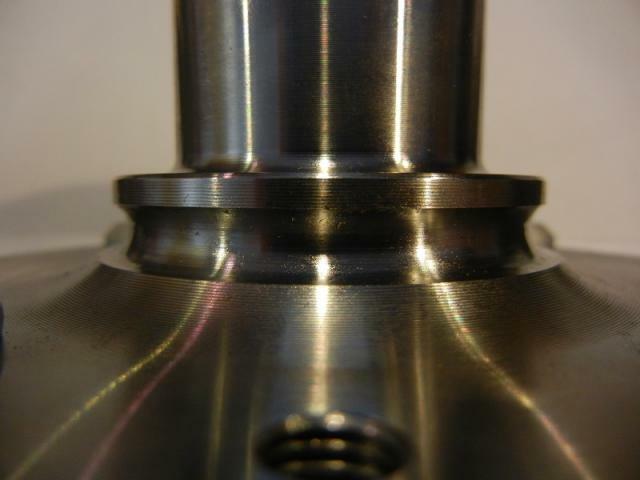 The splines are what retains the stud in the hub, so you run the risk of the stud spinning and losing the lugnut. Is this something you've seen happen or is it just a theory? Because a wheel stud that is properly torqued has a **** ton of clamp load (something like 5 tons) acting on a small flange... it's not spinning easily based on the math. -Taking out the splines and ending up with a stud that spins during tightening/loosening. Explain to me how you're going to properly torque it when it's spinning in the hub.